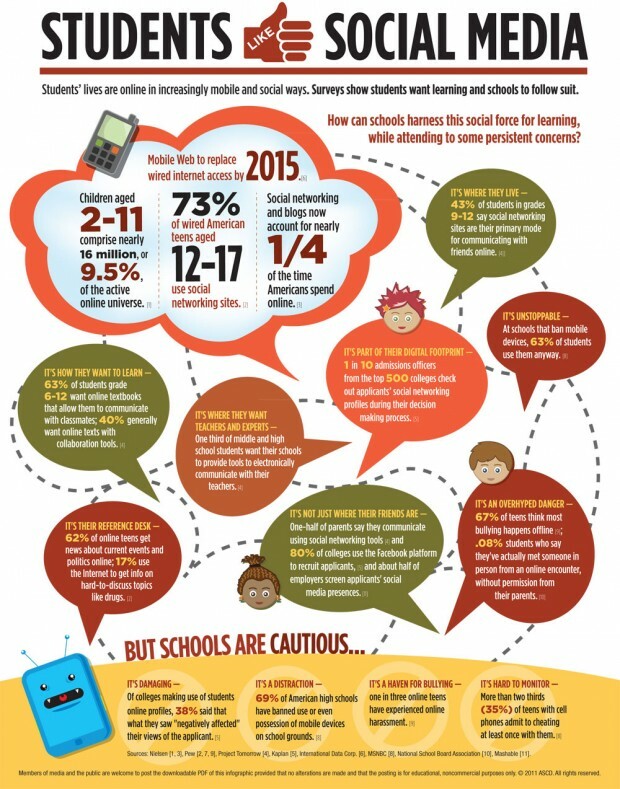 In its Policy Priorities report, Can Social Media and School Policies be "Friends," ASCD provides a state-of-the union on social media use in schools. How administrators and educators deal with federal regulations, defining what's legal, parsing out school responsibilities and weighing them against the benefits of using social media to engage and communicate with students are all addressed in this useful guide. MindShift's Dispelling Myths About Blocked Sites is also in the lineup.